Bloodshot visits the neighborhood he grew up in and is mistaken for infamous mob enforcer Bruno Mortalli, his own half-remembered father! When he learns that the F.B.I. 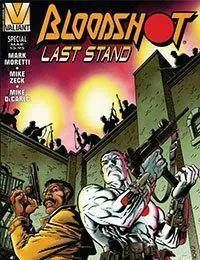 is hot on his fathers trail, Bloodshot joins in the hunt. When father and son reunite it wont be peaceful, and little remain the same after this final confrontation of Bloodshot and his past.